Cami’s Gold Absinthe originates from a classic recipe, dating back to 1866. “Bitter liqueur” connoisseurs can distinguish the noble taste and aroma, crafted from a unique selection of herbs and spices. Cami’s Gold is made purely by hand in small batches in Tschechien, Czech. The thujone content of approx. 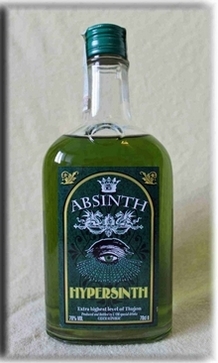 30 mg/kg and the combination of other herbs creates a very energizing “absinthe effect”. This taste makes for a pleasantly surprising absinthe. Beyond wormwood, the exact herbs used in the recipe remain a secret of the master distillers.